Frontline is going to tell a story this week that most of know already. We understand the horrifying inhumanity that can befall people and that it comes at the hand of other human beings ... although I find it hard to describe the people responsible for these deeds as "human." The documentary series has gotten hold of an Alfred Hitchcock-directed documentary that aired recently on HBO. It tells the story of Nazi death camps that were liberated in the final months of World War II. "Memory of the Camps" airs Tuesday at 9 p.m. on Panhandle PBS. The film reels were uncovered. Frontline aired them nearly 30 years ago. 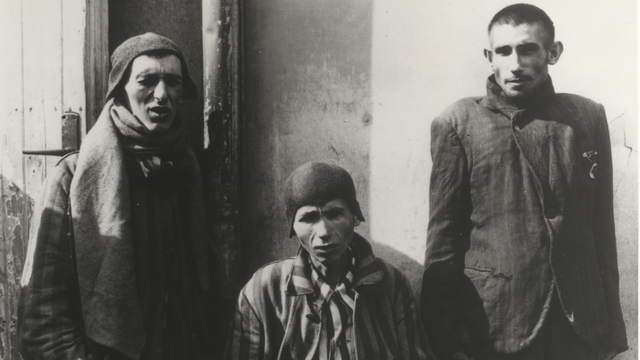 "The footage was as horrifying as it gets: Gas chambers. Pits full of the bodies of thousands of systematically starved men, women, and children. Crematoria designed to burn large numbers of corpses. And haunted, emaciated survivors." And so the story will be retold again as the world recognizes the end of World War II. It ended in Europe on May 7, 1945, when the Nazis surrendered to advancing Soviet and Allied troops. The Red Army had reached Berlin. Adolf Hitler had killed himself. American and British forces were leading the advance toward Berlin from the West. But along the way, all these troops were discovering the hideous death camps used by the Third Reich to achieve the Final Solution, which was the extermination of Jews throughout Europe. The film will teach viewers even more about the depths of human cruelty.